The Austrian Academy of Sciences (OEAW) is Austria’s largest non-university research facility with over 1300 employees looking back on a history of over 170 years. In 2015, the Austrian Centre for Digital Humanities (ACDH-OeAW), jointly founded by the Academy and the Ministry of Science, Research and Economy, was established with the declared intention of fostering the digital paradigm in the humanities. In their research, the centre works on text- and language-related questions focusing on non-standard and historical linguistic varieties as well as eLexicography and scholarly digital editions. 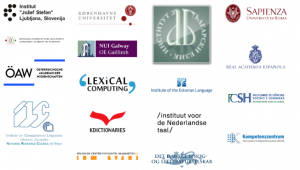 In numerous projects across a wide range of digitally mediated humanities disciplines, the ACDH-OeAW works on digital language resources and related standards, semantic technologies, domain-specific virtual research environments and repositories for preservation of valuable digital research data. Tanja Wissik (PhD) is a senior researcher at the Austrian Academy of Sciences and a lecturer at the University of Graz. She holds a PhD from the University of Vienna in translation studies with a specialisation in the field of terminology and corpus linguistics. She has been working in numerous national and international research projects first as a junior researcher at the Institute for Specialised Communication and Multilingualism of the European Academy Bolzano and then as a researcher and lecturer at the University of Vienna. Karlheinz Moerth (PhD) is the director of the ACDH-OeAW. Proceeding from a background in Near Eastern Studies (with a focus on modern languages and applied linguistics), he has been working throughout his academic life at the interface between modern IT and humanities disciplines. He conducted research on a wide range of text technological questions taking a special interest in digital editing, eLexicography, text lexicography, methodologies for the build-up and maintenance of digital corpora, annotation research and corpus-related encoding. Ksenia Zaytseva is data analyst at the ACDH. She graduated from International Master’s Programme in library and information science ‘Digital Library Learning’ (DILL). She is involved in development of tools and services for Digital Humanities projects in archaeological and linguistic domains. She contributes to DjangoBaseProject, an open source that provides generic functionalities and solutions for building web application in a DH project. Her main research interests are Semantic Web technologies, Linked (Open) Data, controlled vocabularies and reference data services. She is also interested in scientific Python programming, machine learning and web application development. Anna Woldrich is communication expert at the ACDH. Before joining the ACDH, she worked as social editor and campaign manager. She graduated at Universität Wien/Universitá degli Studi di Siena in the field of mass media and communication studies, focusing on radio, broadcasting, marketing, communication research and communication theory. As a part of ELEXIS project, she is responsible for planning, managing and monitoring on- and offline communication activities. Additionally, she takes care of the project’s social media channels and content-management on ELEXIS’ website. Through her presence at project-relevant events she fosters community building with relevant audiences. Furthermore, she supports the team regarding event-organization.